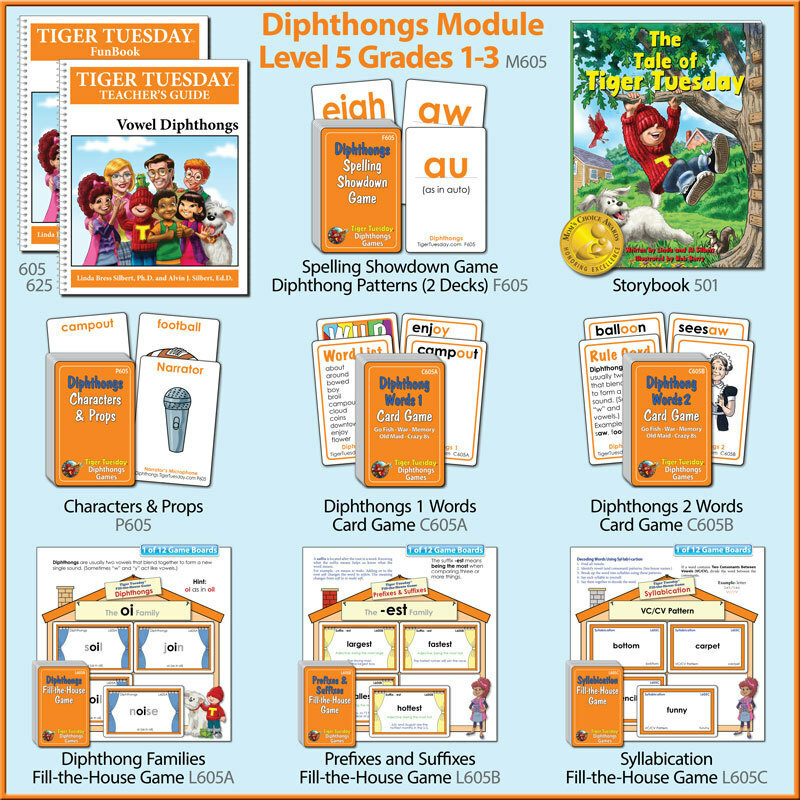 Introduces Diphthongs and reinforces skill in decoding and fluently reading words and syllables with Diphthongs. When two vowels blend together to form one sound it is called a diphthong. (Sometimes “w” and “y” act like vowels like “toy” and “bow”.) Examples of Diphthongs include: oi (oil, soil), oy (boy, toy), ea (sweater, head), oo (book, look),oo (pool, school), ow (cow, how), ou (ouch, out), igh (right, light), au (auto, autumn), aw (claw, saw), ie (chief, thief), ew (stew, chew), eigh (eight, sleigh). Introduces sight and fun words, builds vocabulary and general knowledge.